Treasury Secretary Steven Mnuchin said he would support a plan backed by Sens. Chuck Grassley, R-Iowa, and Maria Cantwell, D-Wash., that would provide a tax credit to biodiesel producers rather than to the fuel blenders. “Sounds like a good plan and I look forward to working with you on the details of that,” Mnuchin said May 25 at a Senate Finance Committee hearing about President Donald Trump’s proposed Fiscal Year 2018 budget. The plan would boost domestic production of biofuels, rather than subsidize imports, Grassley said. The amount of fuel imported in 2016 doubled from the previous year, he said. During the hearing, Mnuchin largely declined to give specifics about what types of tax policies the administration is interested in, beyond those included in a one-page plan released in April. He said the administration is reviewing all tax ideas and will give more details in the future, after reaching consensus with lawmakers in the House and Senate. The bipartisan bill, the American Renewable Fuel and Job Creation Act of 2017, extends the “clean-fuel incentive” for three years and reforms the incentive by transferring the credit from the blenders to the producers of biofuels. The switch ensures that the tax credit incentivizes domestic production and taxpayers are not subsidizing imported fuel. So what’s the big deal about the latest version of the biodiesel tax credit bill submitted by Senators Grassley and Cantwell last week? Producer’s Credit – The credit has been changed from a blender’s credit to a producer’s credit, meaning the actual entity making the biodiesel is the one eligible for claiming the credit. This is important because currently most biodiesel producers are pressured to split the tax credit with blenders as B100 since the tax savings are actually worth more than the $1.00 credit. It still will likely mean that feedstock prices go up for biodiesel producers, and there still may be pressure on the sell side for indexing biodiesel at a discount to heating oil, but the credit would be solely for the producer. The bill does not indicate if the credits would be transferable. Multi-Year Credit – The extension would be from December 31, 2016 (retroactive) to December 31, 2020. This would be the longest extension of the biodiesel tax credit on record, and would finally offer some stability to the biodiesel market. This is a big deal. Domestic Production – A critical component of this bill is that it limits the credit to domestically produced biodiesel only. Imported biodiesel from other countries would not be eligible for the tax credit. This is a huge win for domestic biodiesel as it places them on a fair footing with imported biodiesel, and it means that US taxpayers are no longer subsidizing foreign produced biodiesel. Small Producer Credit – Small biodiesel plants under 15 million gallons per year are able to claim an extra .10 per gallon credit. Agri-biodiesel Definition Removed – This changes indicates that the small producer credit is available for all feedstocks used in producing biodiesel. In short, this is a big win for biodiesel if it’s passed as currently written. Biodiesel NEEDS this tax credit bill to pass in order to gain some stability in the marketplace. We have suffered too long under wishy washy tax policies and RFS programs that did nothing but destabilize the footing for biodiesel as a domestic alternative diesel fuel. Want to help? Call your senators today and tell them to support Senate Bill 944. Ask for the “Energy Desk” and tell them “you want them to support S.944 for the biodiesel tax credit”. Seriously, that’s it. No long speeches or explanations needed, you don’t even have to tell them why. Just call (email is not as good) and tell them you want them to support S.944. For several months, the RVO Working Group has held a series of discussions and conducted economic modeling to inform the recommendations the National Biodiesel Board provided to administration officials on the 2018 and 2019 RVOs. The numbers that this working group has identified keep in tune with NBB’s approach to RVOs; the numbers are realistic, attainable and justifiable. The NBB will recommend at least 5.25 billion gallons of advanced biofuels for 2018 and at least 2.75 billion gallons of biomass-based diesel for 2019. 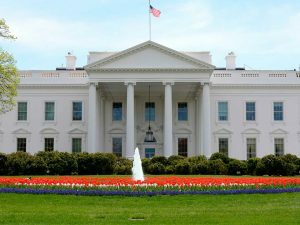 Members and staff of the National Biodiesel Board have met with various administration officials in the U.S. Environmental Protection Agency, the U.S. Department of Agriculture and the White House. We look forward to continuing the conversation with these and other administration officials as they work on the RVO proposal. Timeliness of the proposal and the final standards has been a key theme throughout these discussions. A big thank you to members of the RVO working group, as well as Alan Weber (MARC IV) and Dr. John Kruse (WAEES), for their tireless efforts on the modeling and for taking a deep dive looking at feedstock availability. The hard work of this group allowed us to make an informed, responsible proposal and a strong case to the administration. Also this week, U.S. Senators Chuck Grassley (R-Iowa) and Maria Cantwell (D-Wash.) introduced a bipartisan biodiesel tax credit bill that would reinstate the biodiesel and small producers’ tax credits that expired at the end of 2016, but with a change to who is eligible for the credit. This legislation would provide $1-per-gallon tax credit to U.S. producers instead of blenders, which prevents subsidization of foreign manufacturers. Without this reform, U.S. tax policy is creating competitive disparities in which U.S. companies are losing U.S. jobs and market share to subsidized foreign production. Updating this tax credit is necessary to create a level playing field for U.S. biodiesel producers and to ensure we keep biodiesel jobs here in the United States. NBB applauds the introduction of this bill, which has the support of at least 16 senators from all across the country. Since 2014, biofuels imports have increased from 510 million gallons to about 1 billion gallons in 2016. Already in the first quarter, imports are 10% higher than they were at the same time in 2016. The joint news release said that, in many cases, foreign biodiesel benefits both from the existing tax credit and from additional foreign subsidies, which make it difficult for domestic biofuel facilities to compete. In 2015, the U.S. Treasury spent more than $600 million on tax credits for imported biodiesel and renewable diesel. The Senators said switching from a blenders credit to a producers credit would offer numerous additional benefits. The blender’s credit can be difficult to administer because the blending of the fuel can occur at many different stages of the fuel distribution. This can make it difficult to ensure that only fuel that qualifies for the credit claims the incentive, making the program susceptible to abuse. Joining Grassley and Cantwell to cosponsor the measure are U.S. Sens. Pat Roberts, R-Kansas; Mazie Hirono, D-Hawaii; Roy Blunt, R-Mo. ; Sheldon Whitehouse, D-R.I.; Joni Ernst, R-Iowa; Heidi Heitkamp, D-N.D.; John Thune, R-S.D. ; Tom Udall, D-N.M.; Martin Heinrich, D-N.M.; Jeanne Shaheen, D-N.H.; Amy Klobuchar, D-Minn.; Al Franken, D-Minn.; Joe Donnelly, D-Ind. ; and Patty Murray, R-Wash.
Modifying the credit is estimated to have little to no impact on the consumer. Much of the credit would continue to be passed on to the blender and ultimately, the consumer. Additionally, the U.S. biodiesel industry is currently operating at approximately 65% of capacity. The domestic biodiesel industry has the capacity and access to affordable feedstocks to meet the demand of U.S. consumers, the senators said. Being from North Carolina, I’m disappointed to see senators Burr and Tillis both missing from this bill as cosponsors. My pathetic state does almost nothing to support biodiesel, even though it has repeatedly supported ethanol production here in large fashion and failed every time. 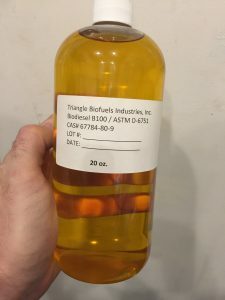 Trump Era Biodiesel? What’s Going to Happen? For most, it’s hard to guess what is going to happen for biodiesel under the Trump administration. On the one hand, President Trump appears to be in favor of conventional petroleum for fuel and against the wasteful spending on pet renewables like Solyndra. On the other hand he is pro-business and wants to reduce government regulation, which biodiesel has seen more than its fair share of in the last 8 years. The biodiesel tax credit expired 12/31/2016. 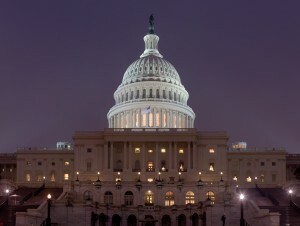 There are two new bills pending for its renewal, one in the house (H.R. 5240) and one in the senate (S. 3188). The tandem bills would extend the incentive through 2019 and reform the tax incentive to a producer’s credit aimed at domestic production. This would seem to be in favor of Trump’s “America First” agenda, as it would create domestic jobs, domestic revenue, and prevent American tax dollars from subsidizing foreign imported biodiesel. We encourage all biodiesel stakeholders to contact their elected officials in Congress and press for Congress to extend the biodiesel tax incentive. This needs to happen sooner than later. Waiting until 2018 to renew it retroactively WILL KILL more small and medium sized biodiesel plants, just as it has already in North Carolina and other states. In 2010, there were 6 biodiesel plants in North Carolina. In 2017, there are only three left, and none of them have shown any significant revenue or production growth to brag about. To reach your senators’ offices, call the Senate switchboard at 202- 224-3121 or visit the Senate website here. Unless you already have a contact at the office, ask to speak to the staffer who handles energy or tax issues. To contact your U.S. Representative call the House switchboard at 202-225-3121 or visit the House website here. Congress has used tax incentives to stimulate domestic energy production for more than 100 years. Since being implemented in 2005, the biodiesel tax incentive has played a key role in stimulating growth in the U.S. biodiesel industry, helping it become the first EPA-designated Advanced Biofuel to reach commercial-scale production nationwide. By helping biodiesel compete on a more level playing field with petroleum, the $1-per-gallon tax credit creates jobs, strengthens U.S. energy security, reduces harmful and costly emissions, diversifies the fuels market, and ultimately lowers costs to the consumer. There is a clear correlation between the tax incentive and increased biodiesel production, which has grown from about 100 million gallons in 2005, when the tax incentive was first implemented, to almost 1.8 billion gallons in 2014. However, unlike billions of dollars in petroleum tax incentives written permanently into the tax code, the biodiesel tax incentive faces tremendous uncertainty as Congress has passed short-term extensions and allowed it to temporarily expire repeatedly in recent years, including for most of 2015. This has created significant disruptions in the industry. The annual threat of losing the tax incentive has stunted growth, limiting biodiesel producers’ access to capital and investment while restricting their ability to expand and hire new employees. With less than a decade of commercial-scale production, biodiesel remains a young and maturing industry that needs stable, long-term tax policy to continue meaningful growth. People often ask us about how biodiesel is made and the glycerin separation phase. Here is a great example that we see every day. Once the reactor has stopped, we allow for a brief separation period where the heavy phase glycerin literally “falls out” to the bottom of the tank. We then pull this off and continue the reaction if necessary, or push to the next step in the process. Effective January 1, 2017 the NC motor fuels tax rate will increase from 34 cents per gallon to 34.3 cents per gallon. This rate will be effective for the entire 2017 calendar year. Biodiesel Blends for Heating Oil in your Boiler and Furnace and Cut Costs! Biodiesel blended with off-road diesel fuel makes an excellent winter heating oil blend that not only reduces sulfur and particulate emissions but also increases cetane AND reduces your costs! Simply blending biodiesel at a 50/50 ratio with diesel fuel can reduce costs by over 20 cents per gallon! Burning a biodiesel blend in your boiler or furnace can help you meet EPA emissions requirements and save you money at the same time! Call us today to learn more or to order. As most everyone knows the Biodiesel Tax Credit (BTC) expires at the end of this year once again, and so far has not been renewed by congress. This is typical, and shouldn’t be troubling, but yet cannot help but continue to contribute to the instability that is the renewable fuels industry. Congress has had 11 months to renew the tax credit for 2017 and beyond, yet it, as well as other tax extenders, have remained in jeopardy of expiring and will likely not be renewed until next year. Contrary to what most laymen think, the BTC has traditionally enjoyed bi-partisan support and has been readily supported by both President Obama and President Bush, who was president when it was created in 2004. Early insights into President-elect Trump also see support for domestic energy and renewable energy, and particularly biodiesel. As usual, most people think it’s highly unlikely that the tax credit WON’T be renewed, it’s just a question of when. If the renewal happens quickly after the first of the year (and Trump’s inauguration), it could offer very little disruption to the industry. If however they wait until near the end of the year as has happened before in the past, it could indeed crush more of the smaller plants with less operating capital than their bigger competitors. This time is supposedly different however, as more traction than ever has appeared in favor of a Producer’s Credit instead of a Blender’s Credit, which would only offer the BTC to Biodiesel refiners, instead of blenders like petroleum companies that don’t actually make biodiesel, but just blend it with diesel fuel. Ultimately this solves a very critical problem, imported biodiesel coming into the country that is blended by petroleum companies and claiming the tax credit. This essentially allows a foreign company to “double dip”, claiming tax benefits from their own country and also ours, using OUR tax dollars to enrich a foreign company. Sadly, this has been going on for years and the the Producer’s Credit BTC bill that was proposed in 2015 was changed back to the Blender’s credit before being passed for the 2016/2017 years. Now once again it’s being proposed as a Producer’s credit, except it sounds like for at least the first quarter of 2017 it STILL might be Blender’s credit in order to reduce the impact on the heating oil industry that’s already purchased or hedged their positions against the BTC with heating oil. This solution would be acceptable to most in the long run, as it reduces the impact on the existing market while providing a long term resolution to American tax dollars funding foreign interests that compete in our own market. Irritated your tax dollars are being used to fund foreign companies that directly compete with US companies? You should be. Want to help? Call or write your congressman. Tell them you want them to support the Biodiesel Tax Credit. To find your members of Congress and their contact information, visit the Senate website and the House website. Additionally, Sens. Chuck Grassley, R-Iowa, and Maria Cantwell, D-Washington, are the sponsors of Senate Tax Bill S.3188 and Reps. Kristi Noem, R-South Dakota, and Bill Pascrell D-New Jersey, are the sponsors of House Tax Bill HR 5240 that have been previously introduced to extend the biodiesel tax incentive through 2019 and reform it as a domestic production credit. After a stunning landslide victory for Donald J. Trump and his campaign in what easily could be described as the most contentious presidential election in recent U.S. history, the domestic biodiesel industry remains optimistic that a new Trump administration will work to further biodiesel’s role in growing the U.S. economy. The biodiesel industry currently supports 48,000 American jobs and its reduction of tailpipe and greenhouse gas emissions is well-established by government agencies and private institutions alike. Furthermore, unlike petroleum, biodiesel’s nontoxic chemistry poses no threat to the nation’s water resources. In addition, Trump has made it very clear his intention to cut U.S. dollars being sent overseas to aid in foreign manufacturing at the expense of U.S. jobs. This position would be consistent with reforming the $1-per-gallon biodiesel blenders tax incentive to a domestic producers incentive, which would stop U.S. tax dollars from subsidizing foreign biodiesel production through a growing volume of biodiesel and renewable diesel imports—670 million gallons last year and potentially more than 800 million gallons this year. The National Biodiesel Board congratulated Trump and other newly elected and returning leaders, and stated it looks forward to working them to promote local jobs, energy security and clean air through a growing biodiesel market. When gas prices rise, we routinely hear about the added costs rippling through the economy, hitting consumers and companies alike with the equivalent of a “gas tax.” By that logic, shouldn’t lower gas prices mean more expendable income and higher profits, creating a generally improved economic climate and bullish markets? Yet throughout the year we’ve seen just the opposite, with counter-intuitive headlines like, “Oil Prices Slump, Markets Follow.” Now, as those same oil prices have begun to rise, the Dow Jones Industrial Average has flirted with record-setting territory. Probably not. Some analysts believe that when oil prices recover, the markets will eventually decouple themselves from their attachment to “black gold.” Yet the market fluctuations do illustrate the destructive power oil price instability has on the American economy. And the issue of volatile oil prices is unlikely to subside anytime soon. In the utilities industry, no one energy source makes up more than a third of the electricity generated. Last year, about a third of our electricity came from coal, another third from natural gas, 20 percent from nuclear and another 13 percent or so from hydro and other renewable sources. For consumers, that means fluctuations in the costs of one fuel can be more easily offset by the diversity of sources employed by utilities. On the other hand, the transportation sector illustrates how a lack of diversity in fuels spikes what Americans pay for their daily commute. Gasoline and diesel produced from petroleum dominate, making up a whopping 86 percent of the market; the rest comes from renewables, Compressed Natural Gas, electric vehicles, etc. The petroleum industry doesn’t want the public, or policy makers, to focus on diversifying the market. Instead, they promise domestic drillers will simply unearth almost unlimited supplies of oil under our own soil. And, they say, awash in new oil, America’s petroleum industry will drive down the cost of gasoline. But recent history tells us this can’t possibly be true. The past 20 months have clearly demonstrated that only OPEC has the means to shift the price of oil – higher or lower, depending on its motives. In the fall of 2014, OPEC, led by Saudi Arabia, made the decision to flood the market with oil. Domestic drillers tried to keep up, but the price of oil – traded on international markets – dropped precipitously, causing the U.S. petroleum industry to lose hundreds of millions of dollars and shed thousands upon thousands of jobs. The fact is that within our borders we only control less than 1 percent of the world’s proven oil reserves. The Middle East controls almost half. To make matters worse, it can cost 10 times as much to reach those U.S. reserves as compared to countries in the Middle East. What America needs is an “all of the above” strategy when it comes to its transportation fuels. Yes to biofuels. Yes to electric vehicles. Yes to new technologies that have the promise of providing diversity to our portfolio of fuels. Yet the powerful oil and gas lobby vehemently opposes any attempt to boost alternatives and voluntarily lessen its monopoly of the market. Ironically, they argue free-market principles should carry the day. The transportation fuels market should be unfettered, they exclaim. There are two obvious issues with this position: First, there’s nothing “free” about their position in the transportation fuels market. According to Congress’ Joint Committee on Taxation, the U.S. oil and gas industry alone enjoys more than $4 billion in subsidies. Globally, it’s even worse. The second issue is the suggestion that the transportation fuels market is unfettered. OPEC operates as an international cartel, making decisions as a group of nations to set production targets that influence the price of oil on global markets. Frankly, as a leader of a U.S. trade organization, if I suggested our group operate in a similar manner, I could go to jail. Zack Hamm is President of Triangle Biofuels, based in Wilson. Copyright ©2015 - Triangle Biofuels Industries, Inc. All Rights Reserved.